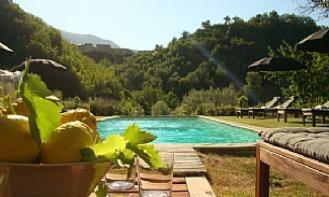 Casa Coletta : Luxury Farmhouse with Pool in PeacefulLlocation with Mountain views. 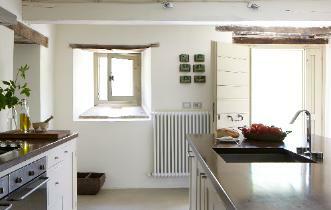 Entrance to Kitchen - to Dining area - Sitting Room - Reception Room - numerous French Doors lead to Terraces on all sides. A Large Wooden Dining Table can seat 10 People. The Kitchen is excellent for cooking using the pristine local produce - there are herbs galore in the garden to enhance your creations. Gadgets - Cookery Utensils - Sharp Knives - All Supplied along with a larder of basics and two larder style fridges - One for Food - One to Chill your wine. A Second Sitting Room has two sofas , a TV for DVD only and a large DVD library to choose from and a wood burner - Doors to Terrace. A hall way leads to the back terrace and to the ground floor bedroom - a double with a bathroom . Two flights of stairs lead to the 1st floor. Both staircases are open - not child friendly therefore. 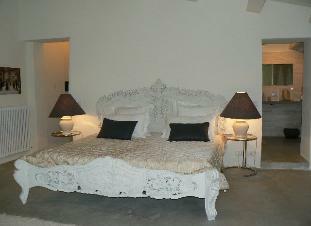 Bedrooms : One Master - Emperor Sized Bed - Wardrobe - Shelves - Large Antique Mirror - Private Walk in Shower - Hand Basin - Bidet - WC. Bedroom 2 - King size Bed - Free standing Roll Top Bath. Bedroom 3 French Double Bed- Stone Hand Basin - Wardrobe - Private Balcony. Bedroom 4 Twin Sleigh Beds - 2 Cots and a stair gate - Two Temporary beds can be hired for small children in this room only. Terraces to the front and back - and sides - with plenty of garden furniture - dining tables, chairs and wicker chairs with parasols . 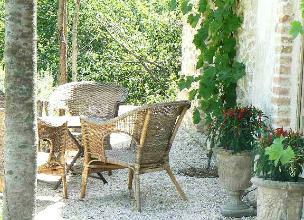 There is a wooden rustico with vines grown up for shade to the side and back of the house. Two dining tables Back and Front - with outside lighting. 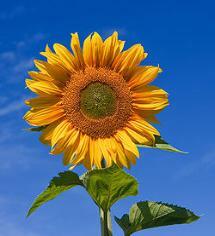 Gardens are part grass and beds of rosemary, lavender, sage and thyme which enhance the night air. The paths are lined with cypress trees and rosemary bushes. Below the house and above the pool is a wild grass and flower meadow. There is a spacious parking area with parking for 6 cars. A Medieval Hill Town Amandola has a beautifully preserved centro storico. courses are all activities you can try during your stay. The coast and the white beaches of the Adriatic are an hours drive . Further afield Ascoli Piceno, Fermo, Urbino, Assisi are all close enough to visit for the day. 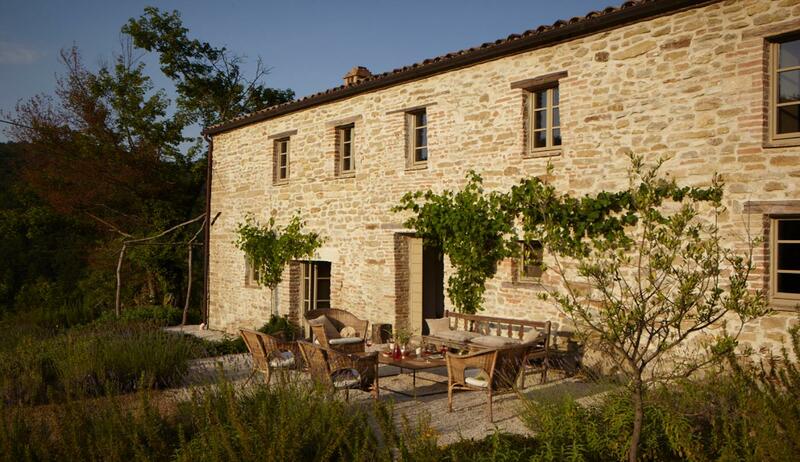 A Centuries old Farmhouse Restored into an Idyllic House offering a Sanctuary of Luxury and Charm. 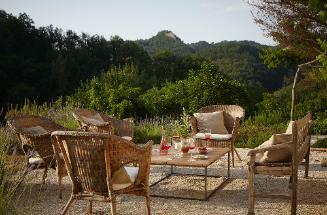 Set in tranquil Rural Surroundings - Utterly Private - Perfectly Secluded - 5 kms from a Bustling Historic Hill Town Amandola. In an elegant setting with a 15 M Private Pool - well stocked mature Gardens - 2 Outside Dining Terraces - 4 Double Bedrooms - 1 Twin. 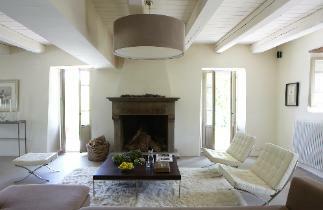 Understated Luxury and Sophistication - A perfect Hideaway for Families - Groups - A Romantic Setting for Two. 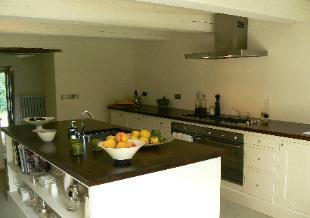 Private Location within National Mountain Park Beautiful Views - Walks 50 Mins Coast.